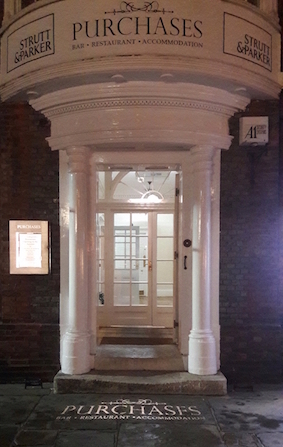 Independent Modern European Fine Dining Restaurant in the heart of Chichester's centre, with a cocktail and wine bar and Garden Area. We are open for tea and coffee every day from 10.00am. 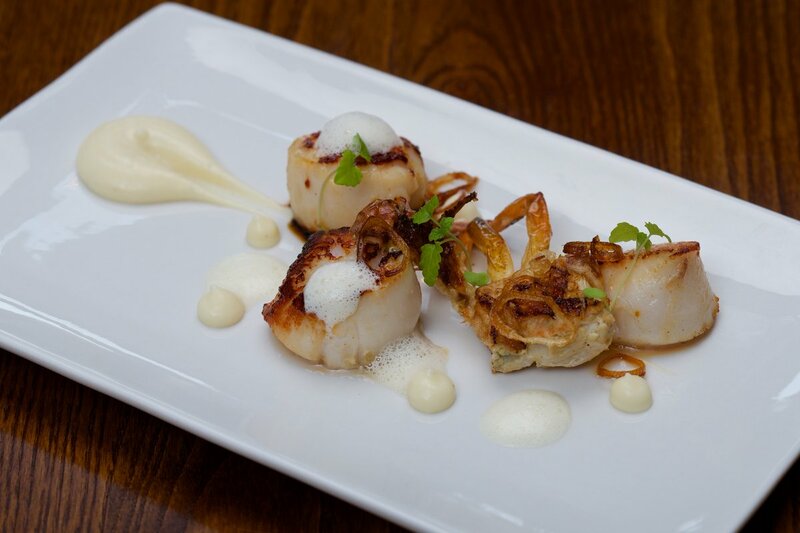 Our A la Carte menu is available Monday to Saturday for lunch and dinner, additional to this menu is our set menu available for lunch and dinner excluding Friday and Saturday after 7.30pm. 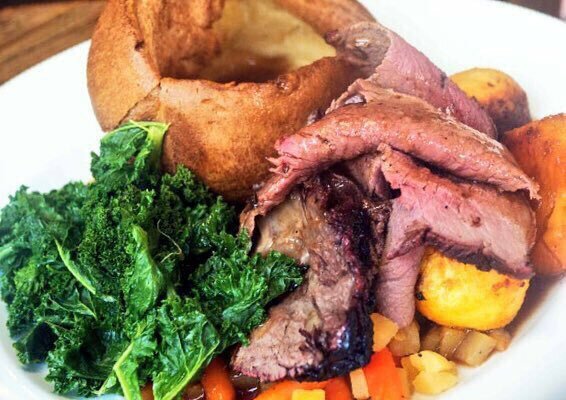 On Sundays, we offer a set menu with traditional roast available 11.30am until 4.30pm. 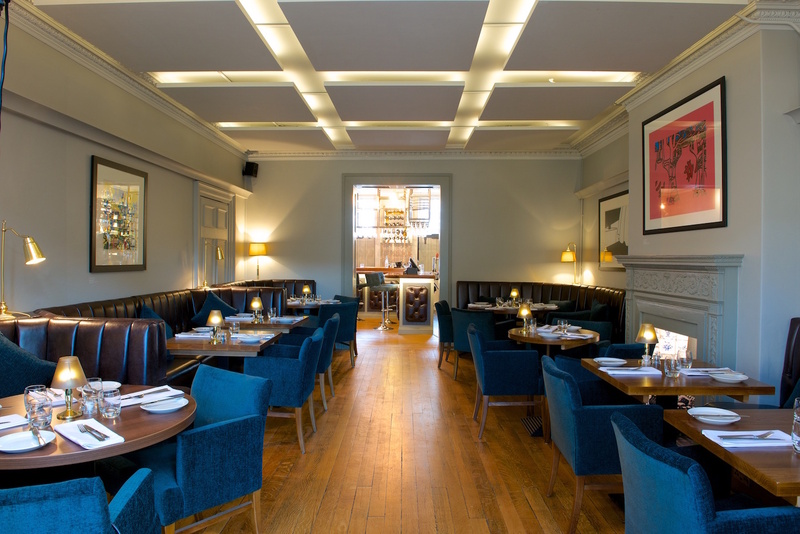 For quick bites and sandwiches, our lighter menu is available at lunch and in the evening, being served all day on Saturday. The cocktail and wine bar is open everyday from 11.30am serving drinks all day. - All tables will be allocated on arrival and your table will be held for 20 minutes. To charge what you do, HAS to be backed up with fine quality. Sadly this is not the case. Not bad, but way off excellent which is not expected given the price. Service was good, however courses were whipped out in such a speedy fashion it felt as your table was desperate to be turned. Excellent food and wine. We had a fabulous lunch and will definitely be returning for a dinner date! As a Sommelier and Sicilian I was worried by your "Sicilian blended white wine" as there was no indication of the grapes used and it did not taste like any Sicilian white I know. Your staff, however, could not have been more pleasant and helpful. Food was delicious and service impeccable. Only very minor criticism since you're asking is that the plates used for breakfast are of an odd shape and not comfortable for eating a full English from. Once again, excellent cooking across all courses, great presentation and wine matches, and attentive and friendly service. Amazing food and great service. Thank you! Thank you very much for taking the time to write a review for us. I am very pleased you enjoyed your recent experience at Purchases and we definitely look forward to seeing you again in the near future. The restaurant itself had the perfect ambience for any occasion. Staff are attentive and the service is exemplary. The food is exquisite and the cocktail to die for. An incredible experience in a wonderful setting. I cannot recommend highly enough. Thank you very much for such a kind and supportive review, Yvonne. We definitely appreciate the support our customers show, especially being an Independent restaurant in Chichester. Keep an eye out for our new Spring Cocktail Menu - even better than the last! Definitely worth a few trips to Purchases to taste them all. 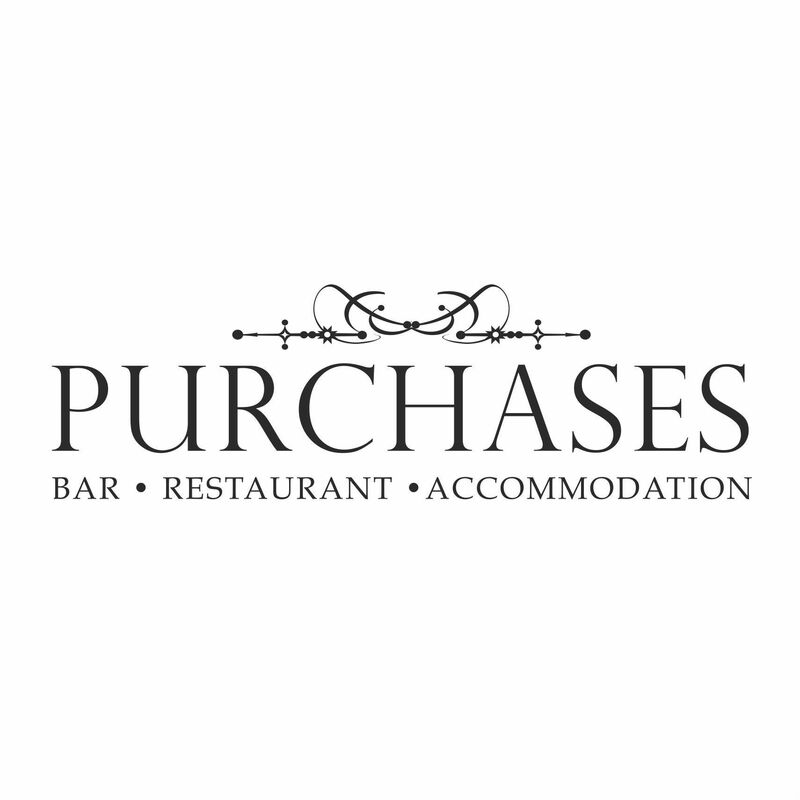 We have been to Purchases a few time now and have loved the friendly knowledgable team, the delicious food and great atmosphere.....we would definitely recommend to everyone! Also their homemade walnut & raisin bread is so good you will wish you could take a loaf home with you!!! The walnut and raisin bread is definitely popular, our talented chefs bake all our bread onsite and this just adds to the beautiful fresh flavours! I am delighted you enjoy your meals with us, we appreciate the feedback and support you show by taking the time to write a review. It was a very pleasant evening. The staff are welcoming and professional and the food was excellent. Thank you very much for taking the time to write a review on your recent visit to Purchases. I am delighted you enjoyed your evening with us and we look forward to welcoming you back in the near future. An excellent meal at our first visit to Purchases. The scallop starter in particular was delicious. Thank you very much for providing us with your feedback. I am delighted you enjoyed your dining experience with us. We look forward to welcoming you back to Purchases soon. We had an absolutely fab meal and a great evening. You guys will be on our regular favorites list. A tad expensive mind! but happy to pay for good food service and atmosphere. Thank you for your feedback, I am delighted you enjoyed your meal with us and we look forward to seeing you back in Purchases again soon. Thank you very much for taking the time to tell us your feedback. I was disappointed to hear that you did not enjoy your Fish Pie main course, your comments have been passed through to our kitchen team and it has been taken on board to improve this dish. I am delighted your husband enjoyed is Steak and Chips and that you found the Apple Crumble tasty. We look forward to seeing you again at Purchases. We had the pre-theatre menu (3 courses) and a bottle of malbec. All food was delicious, lovely wine and attentive staff. Particularly enjoyed being met at the door by a member of staff holding my partners coat when we left, even though we had not yet asked for it. Nice attention to detail which made us feel as though Purchases value the customer experience. Thank you Emily for taking the time to write your comments. As an independent restaurant, we appreciate the support and value our customer feedback. I am very pleased to hear you enjoyed your 3 course meal with us and that you rate the service provided to you. We look forward to seeing you in Purchases again soon. Thank you very much for taking the time to write a review on your dining experience at Purchases. I am delighted you enjoyed your meal and I do hope your friend enjoyed her birthday with us! We look forward to seeing you for a third visit soon. Loved it - very civilised environment. Comfortable seating, good space between tables, both of which make for a pleasant experience. Great food, too! Our first visit under the new ownership. We liked the refurbishment. It is a pity that it was quite quiet whilst we were there (pre-theatre on a Wednesday) but this did mean very attentive service! We both had 3 courses from the 'set' menu. All our courses were very good: often desserts are disappointing but not at Purchases. 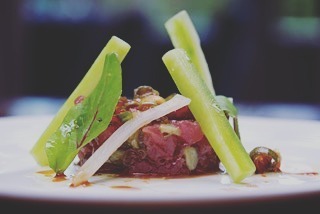 Thank you for your kind words, I am anticipating a very busy pre-theatre in the upcoming months - especially once the warmer weather comes and diners can make use of the garden. 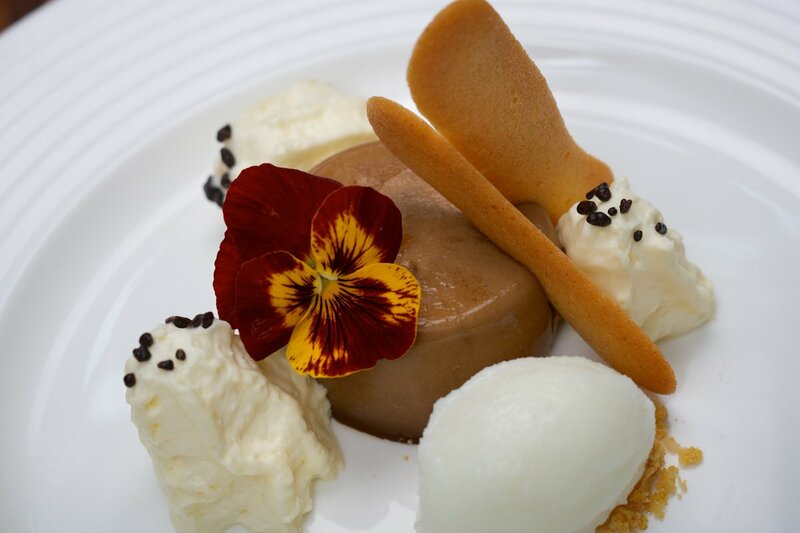 We do love our desserts at Purchases and the Chef ensures there is something to cater for everyone on our desserts menu. A very pleasant dining experience. Relaxed atmosphere that is smart without being too formal. Friendly staff who provided good service that was attentive. Sunday set lunch is good value for money - generous helpings of food and a reasonable level of choice. Perhaps the side dish of vegetables could have been cooked a little more but that is more a matter of taste and preference. Extensive wine list. 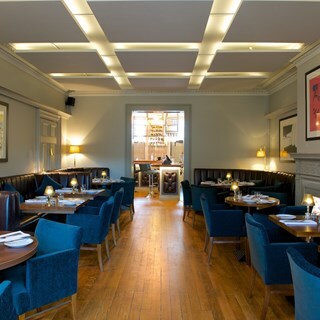 Will certainly return for lunch or dinner - an excellent venue for a special occasion. Well done and I hope the restaurant proves to be a success. Wonderful to see artwork from Pallant House adding to the pleasantly buzzy atmosphere. Set menu excellent value. Presentation of plates was very enticing, and the only reason service has 4 stars instead of 5 was that our coffee was brought before desserts, and in a restaurant of your level I didn't think we needed to ask for coffee at the actual end of the meal. My husband has given you  a 5 star trip adviser rating, which is deserved. I am looking forward very much to a return visit. Excellent food and wine. Great service.